We are curling on and on. I am fueled like no other time in my life. I have a small but mighty team. We all believe in the mission to spread- Peace, Love Curls and Unity! 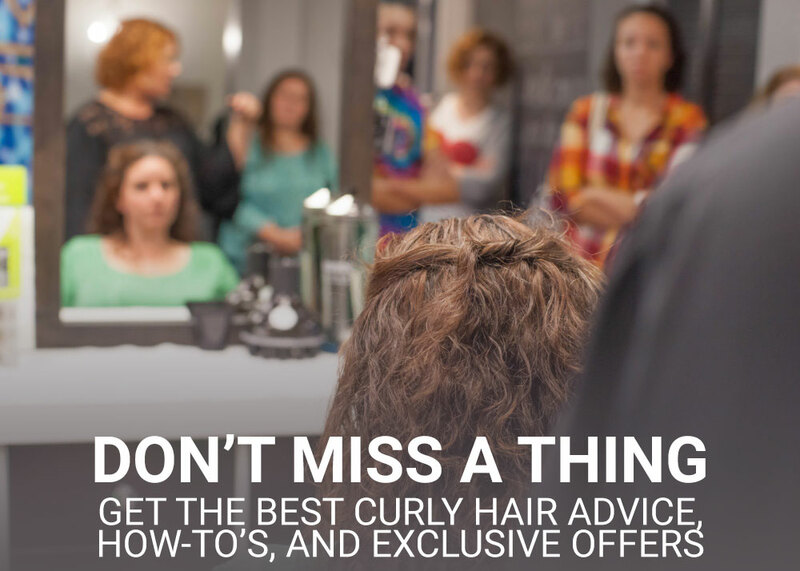 Healthy curls for all. We have already started to schedule our education for the year. Danielle will be heading to Connecticut first for Strategies classes. This Management and Leadership course will help Danielle bring us to the next level of leading our Team and keeping us inspired. We have a private training session scheduled with Jennifer F. We love small intimate mentoring sessions especially in our own salon. I look forward to learning with Janaya and Jennifer in our sessions. We are still applying so much that we learned with Lauren Kay when she came into town. February I head out to Tampa for HSM Head Shape Matters Training. I loved my certification when I went in June last year. It is a very intense class and even more so now that I will be going to learn to educate with team HSM. I love keeping an open mind to education. This is just the first few months! Imagine what the rest will bring?!? Like we say in the newsletter above, Janaya is a very welcomed member to Curly Team KEI. She took tons of curly hair care home to try over break, what do you think she’ll like? Innersense, Briogeo, DevaCurl, Original Moxie, Uncle Funky’s or all of it? Ask her next time you are in! Please enter our favorite product social media contest! 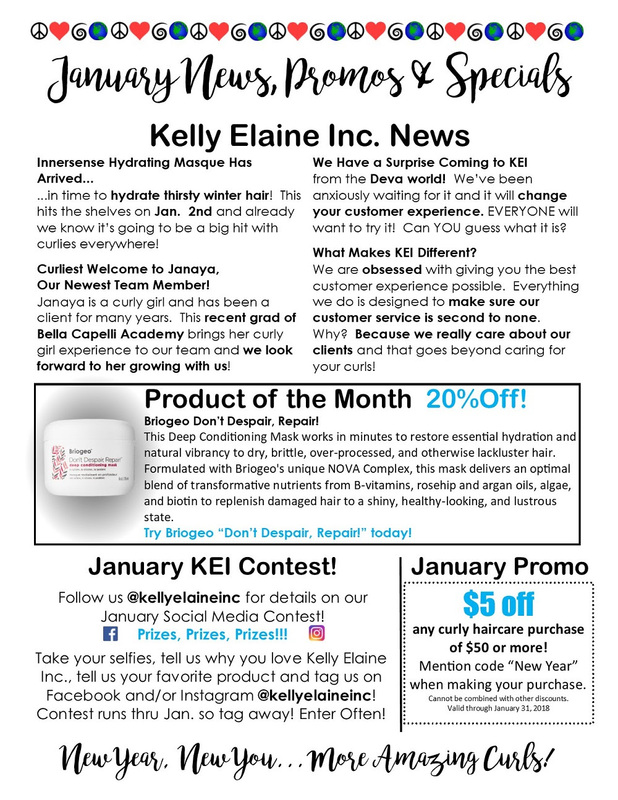 @kellyelaineinc Like or follow us, share the posts, Tag the @kellyelaineinc Take a selfie with your favorite hair care that we carry in salon If you do it with your Kelly Elaine Inc. 20 Year anniversary shirt on you WILL get an extra entry! 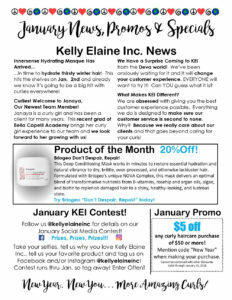 Tell us why you love Kelly Elaine inc and what you love about your favorite product! Happy New Year! Peace, Love, Curls Unity to all!